Hello! 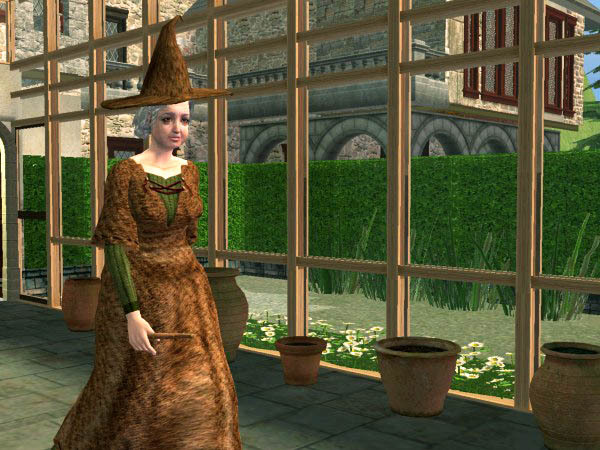 My name is Eddie, and I've recently decided to upload some sims from the magical world of Harry Potter. There have been numerous uploads of Harry's, Hermione's, Ron's, Snape's, etc. But I have always felt that all of the Hogwarts community deserved to be created. So here's my first upload! 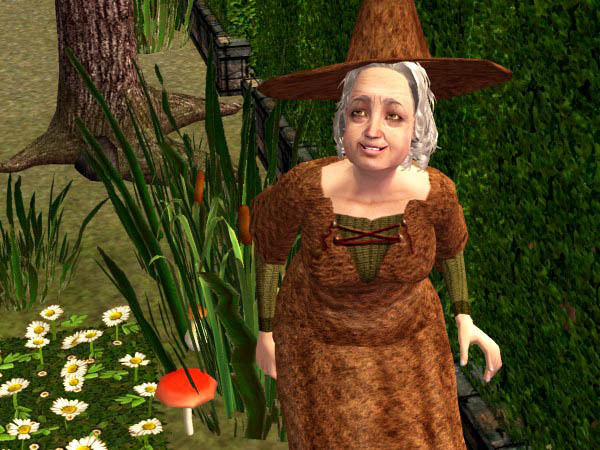 It's Professor Pomona Sprout! The Herbology instructor, and head of Hufflepuff house at Hogwarts! For some reason she has always been my personal favorite staff member, so I decided to create her first. 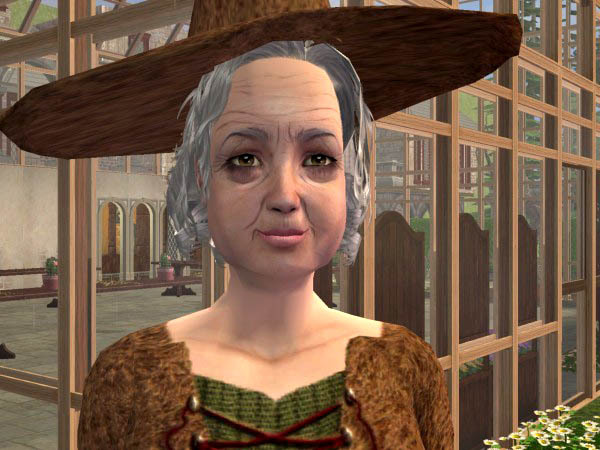 Professor Sprout is an aged witch, with flowing gray hair, and a dirty face. 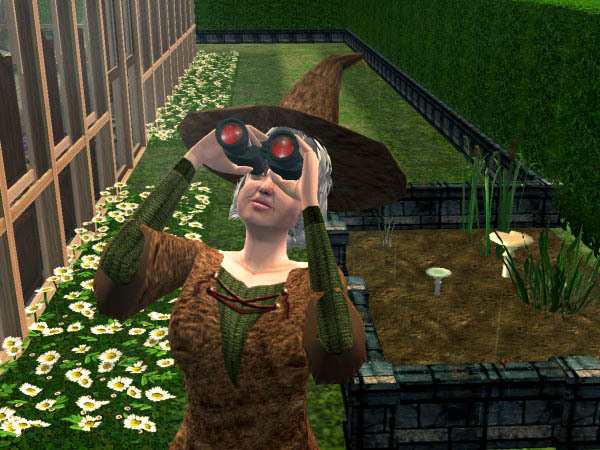 She's Hogwarts' own Green-Thumb, and keeps up with all of the magical plants at the school. Hope you enjoy her! 1. Her hair is from the University EP, so you can still download her if you'd like, but you would need to give her different hair. 2. THE MESHES FOR THE HAT AND THE DRESS MUST BE DOWNLOADED BY FOLLOWING THE LINKS ON THE BOTTOM OF THE PAGE! FOR THE DRESS, IT IS THE THIRD POST IN THE THREAD AND YOU MUST DOWNLOAD THE DP-WOMEN-PEASANT.rar FILE! 4. I plan on uploading as many characters as I can! I'm not sure which ones are going to be rejected due to many others already uploaded. So I'll get back to you on who's next. But I would like for you to PM me about it. I'd love to see your videos. DO NOT UPLOAD TO PAY SITES! DO NOT UPLOAD TO THE EXCHANGE!